For the past two nights it has rained in Darjeeling and the surrounding area. By early morning, the sky is clear and the first rays of sun fall on the wet ground. 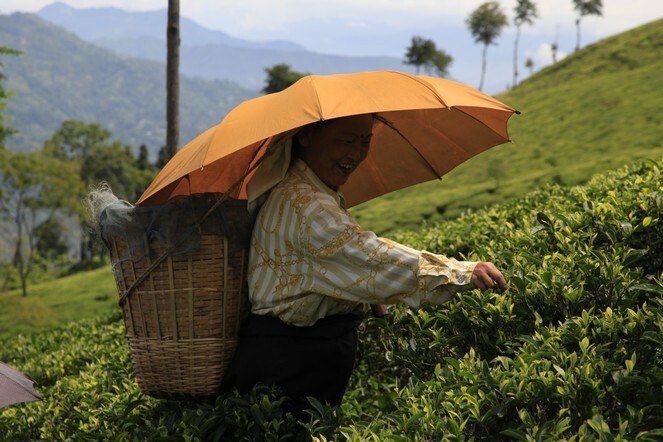 It is the ideal weather for “second flush” teas as the harvesting begins.